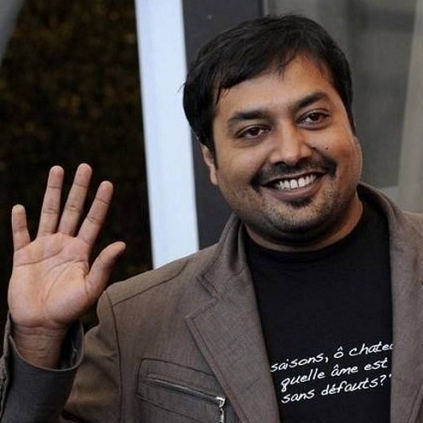 ANURAG KASHYAP CLARIFIES ON HIS CONTROVERSIAL STATEMENT! Bollywood director Anurag Kashyap has clarified about his controversial tweet, in which he asked Prime Minister Narendra Modi to apologize. I am tired of the film industry being soft targets. We are damned if we do, damned if we don’t! When we don’t involve ourselves, they ask “why is Bollywood quiet now?” When we involve ourselves, we become the scapegoats to distract you from the real news.Either way they use us to sensationalise news. Still, I’d rather put my opinions out there on my own platform, than give the media a bite. NO, Anurag Kashyap did not “ask the PM to apologise”( which most of the headlines would want you to believe, no one has their mind anyways) ,I merely questioned the fairness in judgement of a situation: the PM visited Pakistan for talks at the same time that a filmmaker was working with a Pakistani actor. Neither was aware of future events or mood. Yet only one pays the price. I’m also well aware that the government did not cry “BAN" or demand that Pakistani artists be sent back. Just as I’m aware that the PM himself doesn’t censor my films. But we elected them and so it is their responsibility to protect us from bullies - media or political parties. And when the governing party's designated members don't respond in hours of crisis because they are second guessing the mood of the PM then I would rather talk straight to the PM himself. There was also sarcasm in the tweet that followed; ‘Bharat Mata Ki Jai’ was for those mindless trollers who constantly ask for proof of your patriotism.Apparently thats all it takes. It was a jibe at them. Patriotic slogans don’t absolve you from it all. I hope this explains .. " he posted, on his official Facebook page. Prabhas, The Lead Of Baahubali Had The Cachet Of Meeting Our Hon'ble Prime Minister Narendra Modi Yesterday, The 26th Of July. People looking for online information on Anurag Kashyap, Narendra Modi will find this news story useful.